Our 3 best mattresses for snoring have been chosen with both comfort and their anti-snoring properties in mind. Snoring can be a nightmare, particularly if you have a partner who keeps you awake at night. It is also possible to wake yourself up with your snoring, even if you sleep alone. So, do you or your partner snore? Maybe even both of you? If so, you need a solution because interrupted sleep night after night can be very debilitating and ruin your concentration during the day. 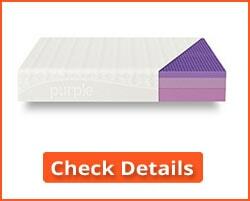 We have chosen three mattresses for snoring and each has its own benefits. They will not stop you snoring if you are sleeping in the wrong position (no mattress can) but their comfort and construction can help you remain in the position you normally sleep in. We have reviewed the Queen size mattress in each case as examples for consistency in the comparison. How Does a Mattress Help – What’s an Anti-Snore Mattress? 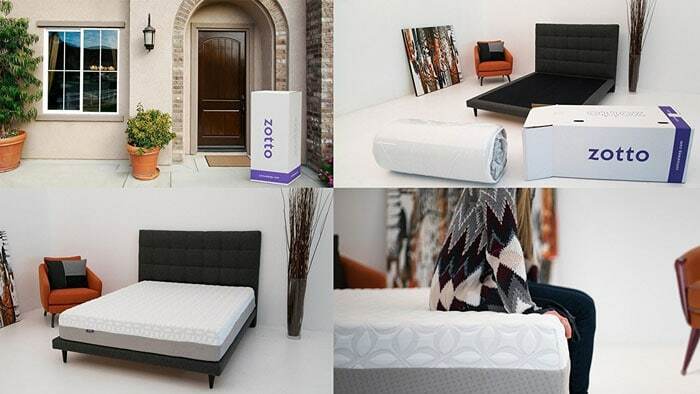 The Zotto Sleep Memory foam mattress is constructed using a unique foam package with pressure ratings that activate only when required. This is a type of foam construction that is suitable for any size of the user, and its patent has been applied for and is pending. You will not find this type of foam package in any other mattress. The comfort layer is known as the ThermapPhaseTM layer, and it can keep you warm when it’s cold, and cool when the external temperature is high. It combines two different types of gel that change phase according to whether the sleep zone is too warm or too cold. This is a unique quality in the mattress industry. How is the Zotto mattress an anti-snore mattress? Simply because it keeps you comfortable when so you do not toss and turn. Changing your sleeping position frequently is a common cause of snoring. You may not snore when you fall asleep, but you may when you change your sleeping position on the mattress. The mattress is a proprietary mix of gel memory foam and a hybrid foam. The Zotto mattress offers excellent temperature regulation. It also aligns your spine correctly, provides pressure relief, offers localized bounce so that you and your partner are not affected by each other movements and it is extremely comfortable to sleep on. The poly rayon cover is silky smooth, and it can be removed and machine washed and dried. Featured by Access Health Airing on Lifetime Television. None, other than one person who commented that it was an inch short in thickness. • Middle: 1.5 inches of EnergexTM high-response gel foam. • Bottom: 6.75 inches of high density polyurethane foam as a solid support layer. This construction enables you to sleep well without snoring. EnergexTM is a visco-elastic polyurethane foam with a faster response time than traditional memory foam. Memory foam has a slowish recovery back to its original flatness compared to EnergexTM foam. It has an open polymer structure that helps dissipate heat and keep you cool during the night. 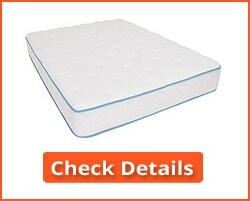 It is a superior sleeping surface for snorers compared to an innerspring or latex mattress. A good sleeping surface that helps prevent snoring. Visco-elastic breathable gel foam that helps keep you cool at night. Good support base that prevents you sinking into the mattress in a way that can promote snoring. CertiPUR-US certified to be made without ozone depleters, toxic flame retardants, heavy metals, formaldehyde or phthalates conforming to the Consumer Product Safety Commission regulations. The side support could be better. Some online reviewers online complain about its memory foam capabilities. This is not a memory foam mattress – it is a proprietary viscoelastic foam designed to provide comfortable sleep in the various sleeping positions that people generally use. 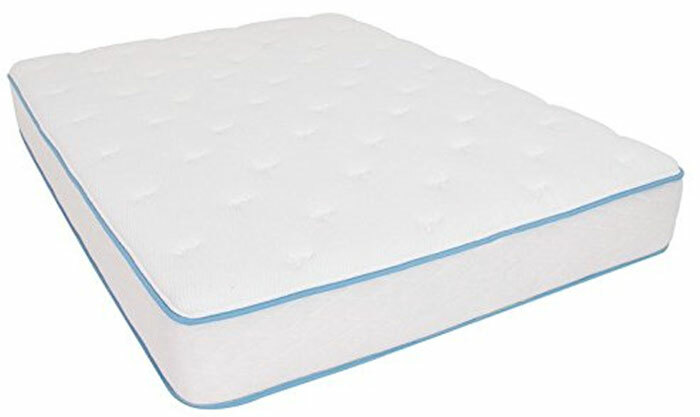 Editor’s Notes: We have rated this to be our top mattress for snoring because it offers a comfortable sleeping surface that helps prevent you from tossing and turning into a position that promotes snoring. See our Buyer’s Guide below for more information on this. The ideal mattress allows your spine to retain its natural curve when you lie on your back. It should also keep your spine ramrod straight when lying on your side. The Purple Bed does this. It is constructed using a unique combination of polyurethane foam and a foam manufactured using a patented Hyper-Elastic PolymerTM. This construction not only offers even support for your body, irrespective of your sleeping position, but also provides excellent motion isolation. You will not be disturbed by your partner’s movement in bed. Because the mattress adjusts to fit your body shape, it is an ideal mattress to stop snoring. 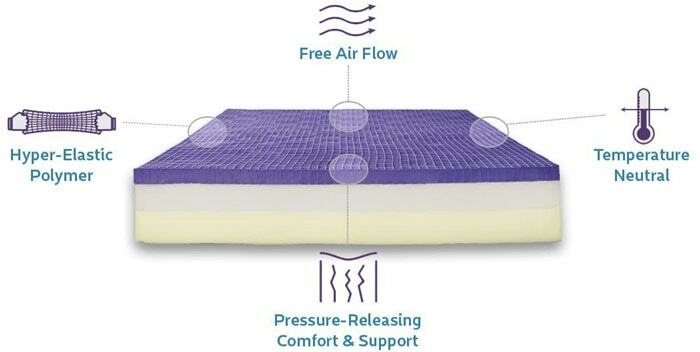 It also incorporates free airflow technology that allows a good flow of air through breathable channels within the mattress. This helps to keep you cool. Correct support, no matter your sleeping position, to keep your spine in its natural position. Cooling patented polymer, similar to memory foam but without the drawbacks of memory foam: indentations and lack of heat dissipation. Naturally antimicrobial without the need for artificial germicides. Anti-allergenic, protecting against dust mites and other allergens. FDA and CertiPUR-US certified to be free from toxic substances. Warranty issues can be handled only through email. The mattress has been reviewed by some as being too hard, although we have not found that. ‘Hardness’ is a matter of perception, and what some find hard can be good to most others. 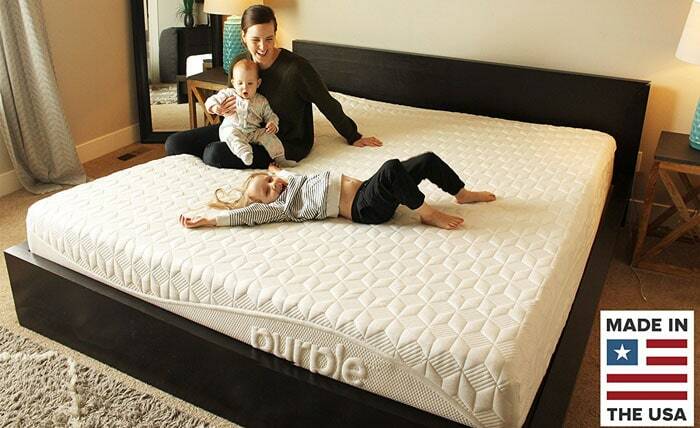 Editor’s Notes: The Purple Bed mattress offers a unique sleeping surface. 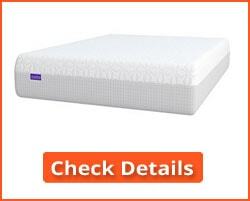 It consists of a patented type of foam that offers excellent support for your spine irrespective of your sleeping position. But how does it stop you snoring? Probably by enabling you to sleep comfortably on your side, which is the best sleeping position to prevent snoring. Understanding why you or your partner snores is an important aspect of understanding what the best mattress for snoring would be for you. Without going too far into the physiology that causes snoring, the sound you hear is due to a vibration of tissues in your upper airway. This vibration is caused by the inward movement of air while you breathe in. You cannot snore when exhaling air – only when inhaling. What is vibrating? In fact, every non-cartilaginous part of your airway can vibrate. That includes your tongue, tonsils, the uvula, soft palate and several other parts of the airway between your mouth and your lungs. When sleeping, the various muscles in your mouth relax and shrink the diameter of your airway. That can restrict the flow of air into your lungs. There are many reasons for snoring, including excessive use of alcohol, being overweight, age (when your throat becomes narrower and the muscle tone in your throat decreases), smoking and use of tranquilizers such as diazepam (Valium). The best mattresses for snoring, which could be described loosely as ‘anti-snore’ mattresses, are those that help you sleep without discomfort. If your mattress is not comfortable or if you get too hot while sleeping, you can toss and turn and change your sleeping position. The sleeping position that most leads to snoring is lying on your back. Specifically lying on your back with your head sloped downwards. Try it yourself: Put your head down and breathe through your mouth. Snorers breathe through their mouths. You will hear a snoring sound! Now lift your head up backward and do the same: notice the difference? If not then take one deep breathe while raising your head backward. Now you will see a difference (or hear it!). A good anti-snore mattress will keep you lying comfortably throughout the night without you having to move around or toss and turn. So the answer to the questions “What are the best mattresses for snoring” and “What is an Anti-Snore mattress” is easy to answer. They are comfortable mattresses to sleep on and they help you to remain stable in one sleeping position. So what is the best sleeping position to prevent snoring? Back Sleepers: Sleeping on your back is the worst for snoring. However, it is possible to sleep on your back by raising your head. It needs to be eased by about 4-inches, and a good supporting pillow would help you with that. Side Sleepers: Side sleeping is believed to be the best sleeping position to help prevent snoring. Those sleeping beside the person snoring know this – they often try to push the snorer onto his or her side. Side sleeping helps to keep the mouth shut – it is an open mouth that causes sleep. Front Sleepers: Sleeping on your belly is great to stop snoring. The trouble is, very few people feel this to be a comfortable way to sleep. Solutions to Snoring: Purchase a comfortable mattress (one of those above) and try not to sleep on your back. Tape a tennis ball to the back of your pajamas or nightwear. You won’t notice after a while, but when you try to roll over onto your back the ball will stop you doing it. A humidifier will also help, but if it a serious issue then see your physician. There are appliances you can use to overcome your snoring. However, you may need a new mattress, and any of the three above should help you sleep better without the need to move about and ultimately onto your back. 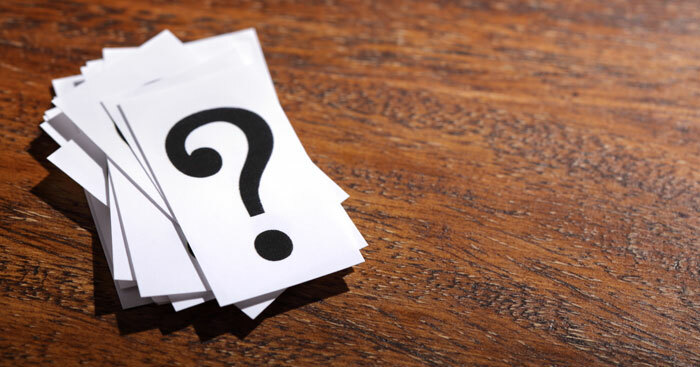 Here are some of the more common questions we are asked about the best mattress for snoring – or more correctly, mattresses to prevent snoring. 1. Can a mattress really stop snoring? Yes, if it is comfortable, offers good support and helps you sleep without tossing and turning during the night. A common issue is side sleepers turning onto their backs. This is a common sleeping position for snorers. 2. Does a pillow make much difference to snoring? Yes. Some orthopedic pillows help keep your head and neck raised while sleeping. This keeps your airways open so you can breathe normally. Another type of pillow helps keep a side sleeper’s head lying to the side, and not rolling upwards into a position that promotes snoring. We shall be reviewing anti-snoring pillows shortly. 3. Is a memory foam mattress better than a latex innerspring mattress for snorers? A gel bead memory foam mattress provides good support and helps maintain your spine’s natural curvature while helping you keep cool when sleeping. This helps relieve snoring. That doesn’t mean that it will help all snorers, but side and back sleepers will be less likely to snore on a memory foam mattress. 4. What’s your best tip for stopping snoring? First, drink less alcohol before going to bed. Alcohol is a sedative. It relaxes and swells the soft tissues at the back of the throat and narrows the airway, leading to snoring. Secondly, try to sleep on your side. Side sleepers snore less than back sleepers. The three best mattresses we have chosen will certainly assist you in your attempt to stop snoring. However, in order to avoid the nightmare with an anti-snore mattress you may also need to reassess your sleeping position. Back sleepers should try to switch to their side, but a good anti-snoring mattress will certainly assist you by helping you sleep comfortably without the need to move around during the night.